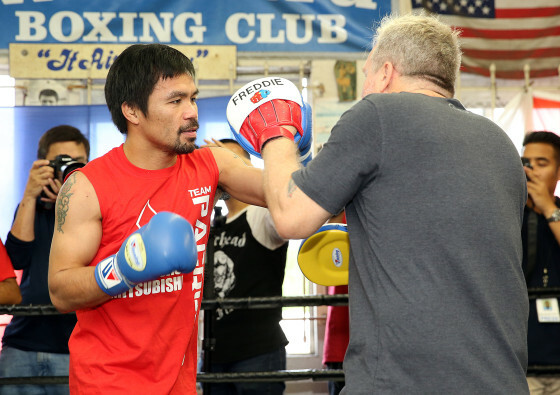 We are a little over a week away from the Manny Pacquiao vs. Jessie Vargas showdown. Set for Nov. 5 at the Thomas & Mack Center in Las Vegas, Nev., Vargas (27-1, 10 KO’s) will defend his WBO welterweight title against Pacquiao (56-8-2, 38 KO’s), an eight-division titlist over his legendary career. I had been hearing good things about Toledo, Oh. 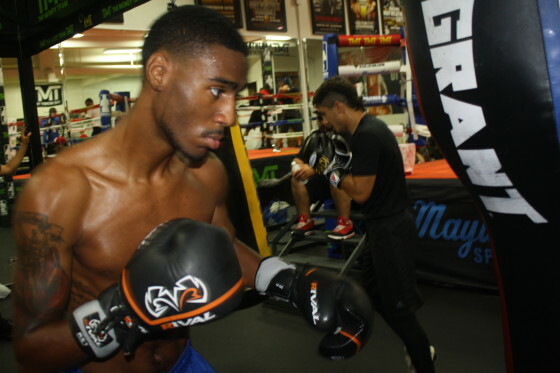 prospect “Prince” Albert Bell the past few months in Las Vegas and after checking out some of his work inside of the Mayweather Boxing Club recently, I can attest that his talent is for real. 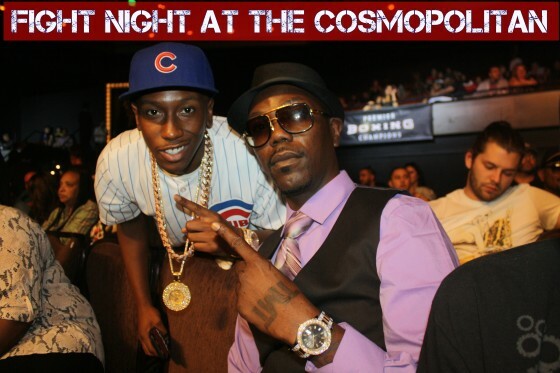 Bell, 23, carries with him a 6-0 record with 2 knockouts in the junior welterweight class and he possesses a very elusive style. He darts in and out and counter-punches well enough. It’s been a few years now since I have been keeping in touch with young amateur Dashaun Anderson. 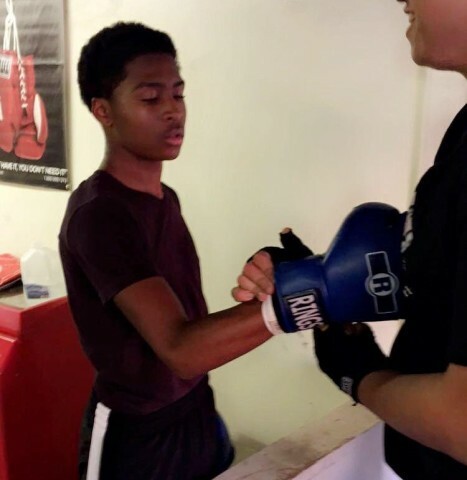 A native of Chicago, Ill. and now residing in Phoenix, Ariz., Anderson, 17, is ambitious as they come and has been updating me about his progress as a fighter for several months. Anderson has been active in the sport since he was eight years old, after heeding advice from his grandmother at the time, as she felt it would be a good fit for him. It had been a while since I had linked up with trainer Ismael Salas and his stable of fighters out here in Las Vegas. 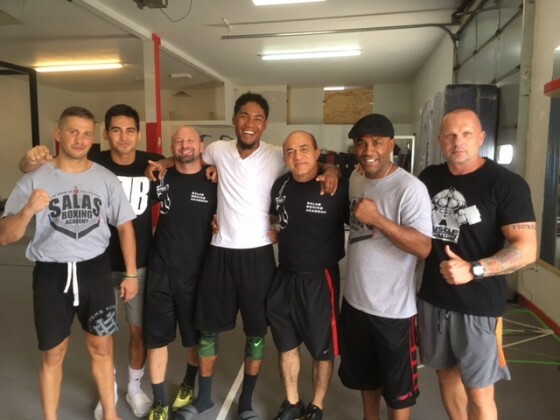 Presently running the Salas Boxing Academy, which is inside of the Bones Adams Boxing Gym a few miles West of the strip, Salas is one of the busiest and most dedicated coaches in the game. The Cuban-born Salas trains WBA lightweight champion Jorge Linares, IBF lightweight champion Rances Barthelemy, former featherweight champion Yuriorkis Gamboa, cruiserweight champion Beibut Shumenov, as well as a slew of contenders and upcoming prospects. It was May of last year when I first crossed paths with trainer and former fighter Monyette Flowers out here in Las Vegas. Having been through the amateur and professional grind as a fighter out in Memphis, Tenn., Flowers knows all too well the responsibilities that surround a boxer. Las Vegas is a transit destination for several people from the globe over and the city plays host to a wide range of characters. In getting to know Grand Rapids native Stacy Mayweather, I’ve grown to appreciate how he has adapted and thrived during his three-plus years in Las Vegas. 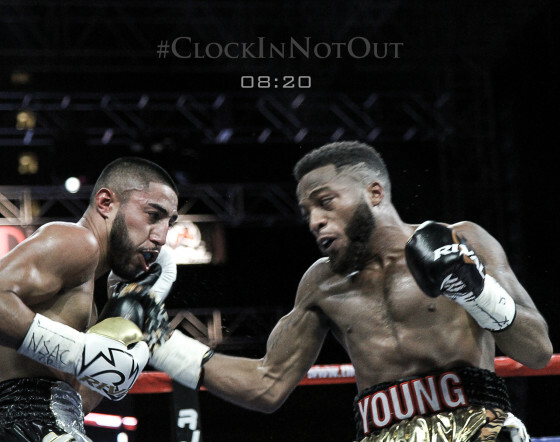 On Saturday night, Sep. 30, another installment of “Knockout Night at the D” returned to the Downtown Las Vegas Events Center, with several notable matchups taking place. As we mentioned in a previous post, Oxnard’s Erik Ruiz shined against Hanzel Martinez in a mild upset, and there were other prospects who left their mark as well. 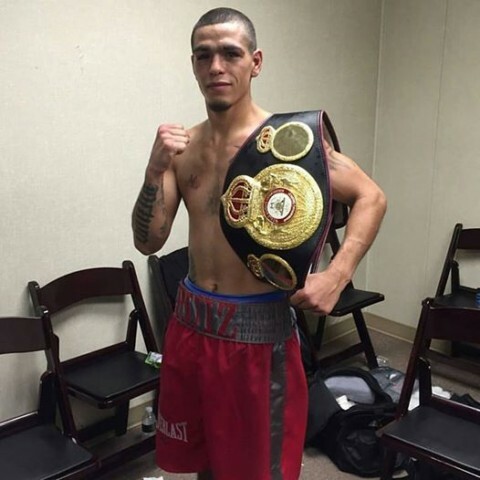 On Saturday night, Sep. 30, Oxnard, Calif. native Erik Ruiz notched another highlight victory in pulling a mild upset over Mexico’s Hanzel Martinez inside of the Downtown Las Vegas Events Center in Las Vegas, Nev.
Ruiz (16-5-1, 6 KO’s) was a little busier than Martinez (23-3, 18 KO’s) from the outset and you could tell that he was completely geared up for this challenge. Ruiz actually was a late replacement for Ghanaian-born Emmanuel Quartey, who was unable to secure a visa in time before his match.